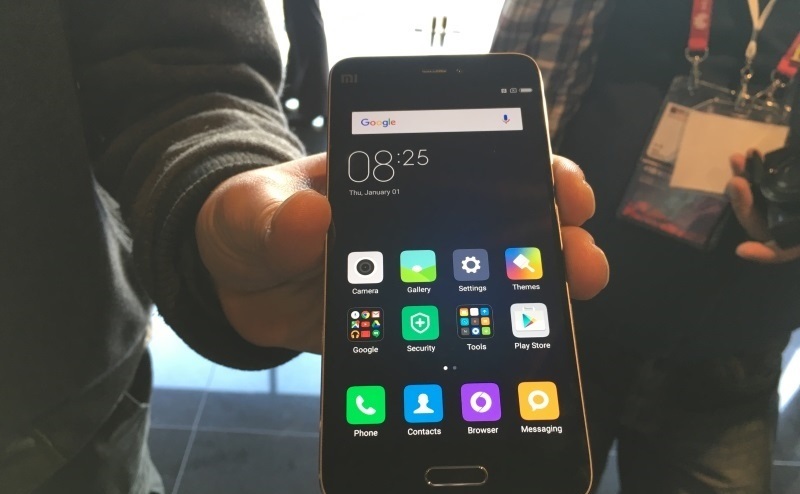 Xiaomi announced the Mi 5 at a media briefing at the Mobile World Congress in Barcelona as well as in Beijing. The Mi 5 is Xiaomi's newest flagship smartphone. It borrows design elements from the Mi Note, and at the same time boasts what Xiaomi calls 'Zirconium 3D ceramic body'.This will be the Xiaomi flagship phone for 2016 and will start selling on 1 March onwards in China. India launch date along with that other countries wasn’t announced at the launch. The Mi5 will be selling for RMB 1999 (Rs 20000 approx) for 32GB variant, RMB 2299 (Rs 23000 approx) and the Mi5 Pro will be selling for RMB 2699 (Rs 27000) approximately. The Mi5 Pro comes with a 3D ceramic cover and 128GB storage with 4GB RAM whereas the Mi5 comes with a 3D glass cover and 3GB RAM with 64GB storage. Everything else is the same in both devices. Post the event we had a chance to play around with the device and here are our first impressions. 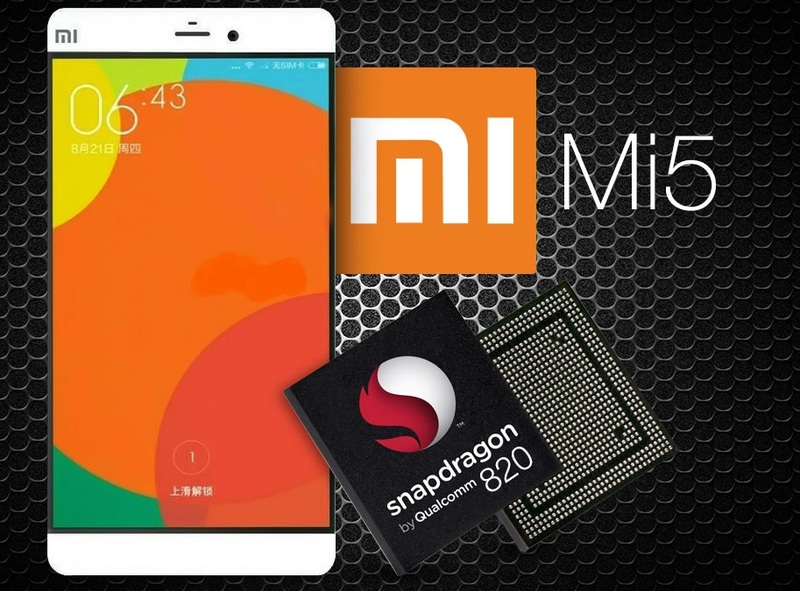 The Xiaomi Mi5 borrows a lot of elements from its Mi Note series phones and this was confirmed by Barra as well. Xiaomi has refined the 3D glass curve design, making it way more rounded than that seen on the Mi Note. The metal frame merges seamlessly onto the glass back on the edges. The chamfering has a lot more slope. In a word, the Mi5 looks elegant and with just around 7.25mm thickness and weighing around 129g, it is impressive how it has managed to have the camera flush with the plane of the body and included a 3000mAh battery. There is a 3D ceramic variant as well. While the in hand feel of the device is good and the Mi5 looks the part of a flagship phone, one must be careful when holding it as we found it to be too slippery for our liking. Also while the bezels on the sides are much thinner than those at the top and bottom, the 5.1 inch display on the Mi5 means that the phone has a taller frame. On the front here is the slim home button which also functions as a fingerprint scanner. The soft buttons have a backlight which is good. The left hand edge has the nano SIM card slot and the right had side has the volume rocker and power/standby button. There’s a USB Type C port at the base surrounded by two speaker grilles. The Xiaomi Mi5 sports a 5.15-inch full HD display which we thought was really reflective. It uses an IPS LCD panel which gives good viewing angles and the text appears sharp. Just as we had seen on the Mi4i, the Mi5 also supports Sunlight Display which dynamically readjust the brightness on pixels, so that you do not have to strain your eyes when out in bright sunlight. The Mi5 comes in two variants as we mentioned above. The Mi5 Pro comes with a 3D ceramic cover and 128GB storage with 4GB RAM whereas the Mi5 comes with a 3D glass cover and 3GB RAM with 32GB and 64GB storage. Xiaomi has employed LPDDR4 RAM and UFS 2.0 standard flash memory storage. Both phones house Qualcomm’s Snapdragon 820 chipset which has a customised quad core Kryo processors clocked at 2.2GHz along with Adreno 530 GPU. This makes the Xiaomi Mi5 really fast to operate. And naturally there were no issues while navigating or trying on different apps on the phone. There is no provision for expandable storage.In terms of connectivity, all the Mi5 variants will be supporting 4G+ or LTE Advanced with support for VoLTE as well. It takes in two nano SIM cards. There’s Wi-fi 802.11ac, Bluetooth 4.2, GPS with AGPS, NFC which supports read/write as well as card emulation for quicker pass through using just your handset and more. Xiaomi has for the first time used a home button on its devices and this home button also works as a finger print scanner. The Xiaomi Mi5 series comes with Android 6.0 Marshmallow along with the MIUI 7 OS atop it. Xiaomi has developed an Android app called Mi Video Call (downloadable via the Play Store) which lets you do lot of cool stuff while on a Video Call. The phones on display did not have it. Apart from this there are the regular Mi themes, segregation of messages according to personal and service messages, and so on. To read an in-depth feature listing on MIUI 7 read this. 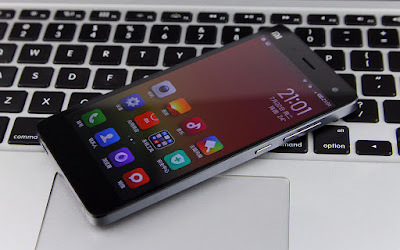 Xiaomi pays attention to its cameras as we had already seen with the Mi4/Mi4i. 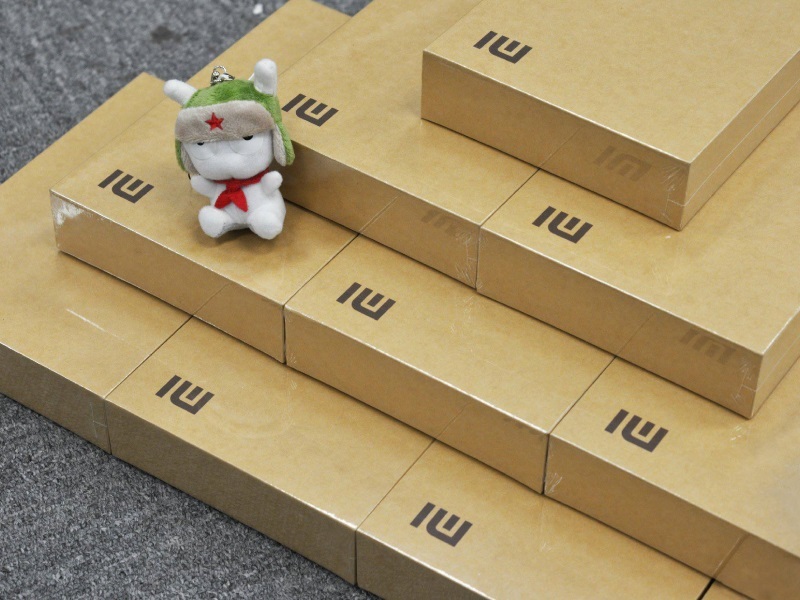 For the Mi5, Xiaomi has employed the 16MP Sony IMX298 sensor which will be seen for the first time in a smartphone. It supports phase detect AF and comes with a new technology called deep trench isolation (DTI) which provides pixel to pixel isolation, to prevent light leak between them. How that will translate into real world use scenarios? We can only tell after using the camera. As for the front camera, Xiaomi Mi5 sports a 4MP camera with a 2 micrometer pixel size. On the video front, it can shoot 4K videos as well. Xiaomi is using Qualcomm’s Spectra image processor for behind the scenes work after you click your photograph. The most important feature in the Mi5 camera though has to be the 4axis optical image stabilisation which compensates for camera shakes along the longitudinal, latitudinal planes, rolling shake and stutter caused due to shooting while walking. Xiaomi has managed to include 4axis OIS and ensures that the camera module does not protrude out and is flush with the back. Xiaomi has used a 3000mAh battery for the Mi5 series and it is a non removable one. Considering it houses a Snapdragon 820, the phone sports QuickCharge 3.0 technology which Xiaomi claims takes only an hour to charge the Mi5. We will of course have to see that for ourselves. So that whole 10min charge gives 2.6 hours video playback on full brightness , we would take that with a pinch of salt. Xiaomi has certainly ensured that the Mi5 series hasn’t left any stone unturned in terms of specs on paper. Well, some may balk at a full HD display instead of QuadHD, but looking at the Mi5 display we really have no complaints. The Snapdragon 820 is certainly something to look out for as it uses Qualcomm’s custom designed CPU cores. We are eager to see how effectively the Mi5 is able to manage the heat because Mi4 metal frame was notorious for heating up. In terms of design, the Mi5 looks stunning. Going by the price points – Mi5 Pro at RMB 2699 (approx Rs 27000); Mi5 64GB at RMB 2299 (approx Rs 23000) and Mi5 32GB at RMB 1999 (approx Rs 20000) – Xiaomi has kept it really aggressive. A Twitter poll we conducted have mixed views with regards to price but majority said, they would but it.In India the Rs 20k segment has lot of competition so a lot depends on Mi5’s Indian pricing as the LeEco Le Max Pro with Snapdragon 820 has already got a Rs 21000 price point. Not to mention, there’s also OnePlus 3 launch on the horizon. With so many Snapdragon 820 service launches, it is safe to assume that the likes of Samsungs and LGs will not price their phones so low. So there is opportunity. 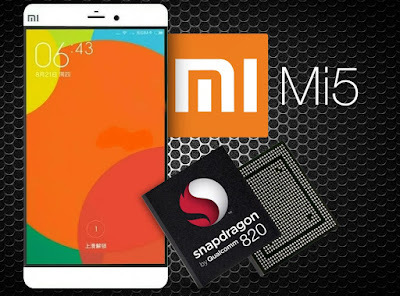 How Xiaomi plays its cards in India, will determine if the Mi5 will be a monster hit as Xiaomi never released, Mi5’s spiritual predecessors , the Mi Note / Mi Note Pro in India. Do check back for a detailed review when the phone launches in India.